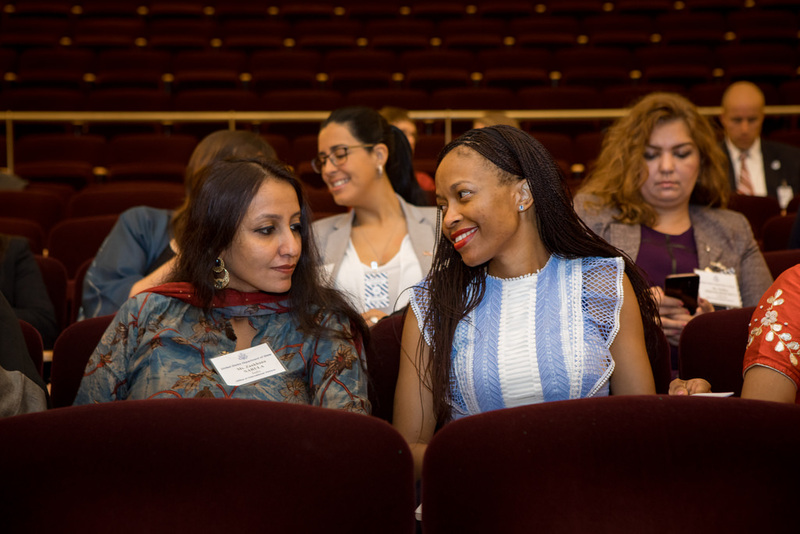 In September, 41 women entrepreneurs from around the world arrived in Washington, D.C. to begin their International Visitor Leadership Program (IVLP), “Women Entrepreneurs: Alumni as Economic Multipliers.” The participants are returning to the United States as IVLP alumnae of women’s entrepreneurship and small business development programs. They are based in 36 different countries, from Afghanistan to Zimbabwe. The women will meet met with public and private sector representatives to discuss federal and global efforts to promote the status of women and foster economic growth and stability. The program included opportunities for them to collaborate with other women business leaders in the United States and around the world at all levels of development, from start-ups to major corporations, as well as business incubators, financial institutions, NGOs, and universities that support entrepreneurship among women. This special IVLP program began in Washington, D.C., with participants splitting up to travel to California, Colorado, Illinois, Massachusetts, Michigan, Missouri, Pennsylvania, Ohio, and Texas. During these city splits, they met with women business owners and state and local organizations that support women in the workplace. The program will closes on September 28, at which time the participants will return to their home countries. Catch up on the conversation on our Facebook page, under #IVLP and #ExchangeAlumni.